Week after week, buyers turned up their noses during showings of the tidy bungalow. Their resistance was easy to pinpoint, but harder to address: the aroma from years of heavy cooking with curry was turning off buyers, and the sellers didn’t care. Chocolate chip cookies, potpourri, gourmet foods, and other baked goods actually may be the worst scents for real estate open houses. Researchers studied 402 people in a home décor store in Switzerland to find the most pleasing scents for customers, and researchers say their findings also can be applied to real estate. The most pleasing smells that study found were lemon, green tea, cedar, pine, basil, and vanilla. Researchers say complex scents, like baked goods, can be a distraction to buyers. They’ll subconsciously be trying to figure out what the scent is rather than staying focused on the house. In contrast, researchers found that simple scents are easier to identify and so less distracting, which promotes buying. The sellers agent tried delicately to explain to the sellers that buyers found the scent—which permeated the walls, floors, and furnishings—overwhelming. Still, the sellers refused to undertake a deep cleaning or change their cooking habits. Their resistance cost the sellers time and money at the bargaining table. In an area where time on market was typically 10 days and bidding wars were the norm, the $629,000 home sat on the market for 35 days. The sellers dropped their listing price several times until it eventually sold for $575,000 in a short sale. Take out the trash after every meal. Do laundry regularly to avoid dirty clothing pileups. Use the fan over the stove when cooking. Avoid cooking strong-smelling foods like fish, broccoli, and garlic before showings. Bathe pets regularly and clean bedding, toys, and litter boxes often. 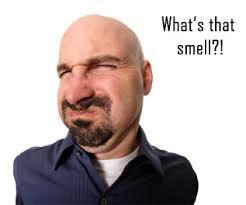 Odor is caused by bacteria that attaches to ceilings, walls, carpets, and draperies. Common household offenders include pets, food, dirty laundry, mold, smoking residue, and air vents. Identify the source of the smell and eliminate it. The remedy is likely a professional deep cleaning or do-it-yourself nontoxic fogger that neutralizes odors. If you temporarily treat the air with sprays or plug-ins, the odor will resurface by your next showing. While air fresheners in large doses may send a red flag that the seller is trying to mask something, they may be useful in moderation. After eliminating the source of smells, introduce subtle, simple scents. This may include laying fabric softener sheets between clothes stacked on closet shelves, placing lemon peels in the kitchen garbage disposal, or adding plug-ins near bathroom doors. Until next time, smell you later! According to the Association of Regina Realtors, the January 2015 home price index is showing our benchmark price at $281,500, down 4.1% from January 2014. Our median price is $305,000. Our average price is $307,000. So whatever way you calculate it, our benchmark/median/average price is down. We presently have 1016 listings in Regina. Our ‘normal’ or balanced market would have 600 to 800 listings so we have an over supply. The average listing is taking a bit longer to sell (6%) for about 52 days on the market compared to 49 in 2014. The sales price compared to the list or asking price is about 95.6%, down 6% from 2014. It’s a moving target and hard to pin down where the market is going. My best advice is to do your homework whether buying or selling.